Works as a Professional Forensic Latent Print Examiner, processing major crime scenes in the field, to document and recover latent evidence. Works in the print lab to process evidence for latent prints. Maintains lifted latent prints and inked prints; analyzes, searches and identifies latent prints. Uses forensic equipment, chemicals and computers. Assist in the evidence room as assigned. Examines, searches, compares, and identifies latent prints. Uses chemicals or other substances to examine latent fingerprint evidence and compare developed prints to those of known persons in department, state and federal databases. Identifies and analyzes evidence obtained from a crime scene; reports conclusions. Keeps records and prepares reports detailing findings, investigative methods and laboratory techniques. Presents scientific expert testimony in courts. Uses photography equipment to process crime scenes and evidence. Coordinates with other law enforcement agencies in evidentiary matters. Operates a personal computer and associated equipment and software per policy to maintain records and prepare reports. Responsible for maintenance of laboratory equipment and chemicals. Analyzes and classifies latent fingerprints utilizing AFIX Tracker software. Performs searches of state and federal Automated Fingerprint Identification System (AFIS) databases. Serves as latent print technician and is subject to being called out to major crime scenes during duty-hours and off-duty hours. Attends conferences/meetings and maintains membership in professional organizations to keep abreast of advances and trends in the forensics field. Provides instruction regarding latent print collection to police staff. Must be able to use forensic skills to examine physical evidence and provide expert and provide expert testimony to the results fo the examination. Must have the forensic skills to operate an automated fingerprint identification system. Must be proficient with Microsoft Officer, and Windows Operating systems. 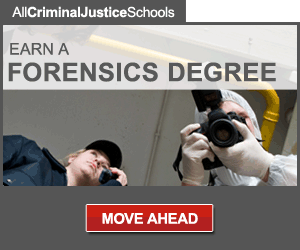 Working knowledge of professional digital cameras and forensic equipment. Ability to lean the applicable laws, ordinances, and departmental rules and regulations. Ability to establish and maintain effective working relationships with subordinates, peers, government officials and supervisors. 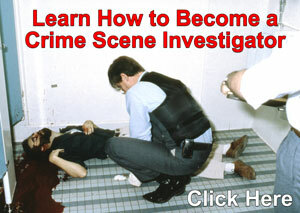 Must know how to process latent print at crime scenes and in a controlled lad. Knowledge of alternate light source equipment, latent processing chemicals , powders, and other processing equipment. Must have a valid driver's license by date of hire. Must obtain and maintain a Texas Driver's License within 60 days of hire. Must pass thorough background investigation and complete a polygraph examination.